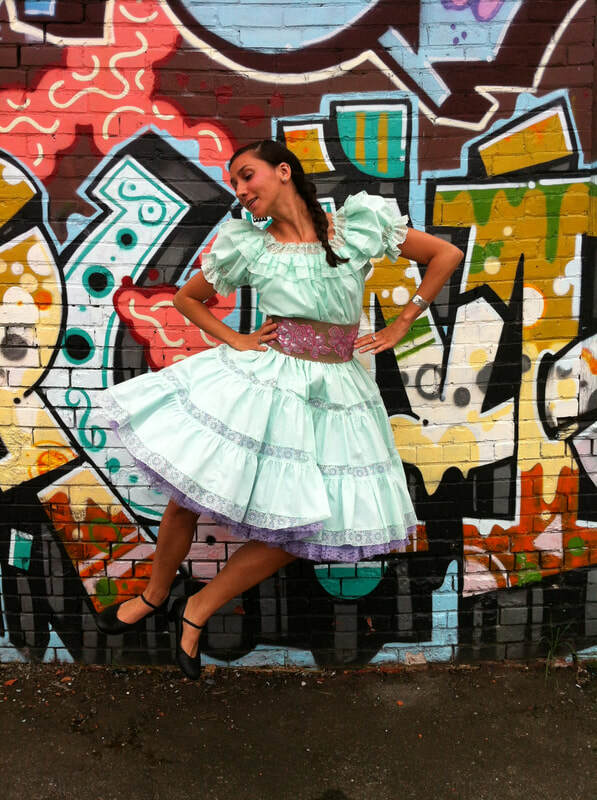 Steppin' is an energetic, knee slapping, toe tapping contemporary Métis jig solo. Musically driven by the fiddle's undeniable force, the impulse for movement is sparked like a flint that ignites fire. With electricity of the jig and fancy steps that rebound off the earth - for a moment in time, milliseconds before you return to earth you are propelled in the direction of Spirit, like a horse running in the open wild. It is a celebration of the joy of movement, the healing in dance, the significance of heritage, and the love of Métis culture. Steppin' moves through time weaving between histories; mirroring Métis Cultural traditions against contemporary dance influences, I search to harmonize with a sense of belonging while referencing my identity as a contemporary Indigenous person. Steppin’ is created and conceived by Jeanette Kotowich with sound design by Wayne Lavallee and guest Métis fiddler JJ Lavallee. Jeanette Kotowich is a Vancouver based professional contemporary Aboriginal dance and performing artist. She holds her Bachelor of Fine Arts from Simon Fraser University, BC. Jeanette is a seasonal dancer with Dancers of Damelahamid, Raven Spirit Dance, V’ni Dansi, and creates her own work as an independent artist. Jeanette is the Artistic Associate for the annual Coastal First Nations Dance Festival, a member of the Full Circle First Nations Performing Arts Ensemble, the Indigenous Performing Art Alliance & a founding board member/secretary for Savage Society. She works in arts administration in areas of marketing, social media design, out-reach coordination, as well as, stage management & production. As her latest endeavour, she recently established a performance collective of dancers & musicians under the name of Métis Massive. Honouring her Cree Métis heritage (originally from Saskatchewan) as a source of inspiration and reference point in her work, Jeanette is passionate about investigating a blend of contemporary and Indigenous practices. Saturday, July 15 11:30 a.m. & 12:30 p.m.
Sunday, July 16 2:30 & 3:00 p.m.
Our Mandalas, created by Connie Moker Wernikowski is a duet to music by Neko Case whose exquisite lyrics are at once delicate and harsh, joyful and sorrowful. 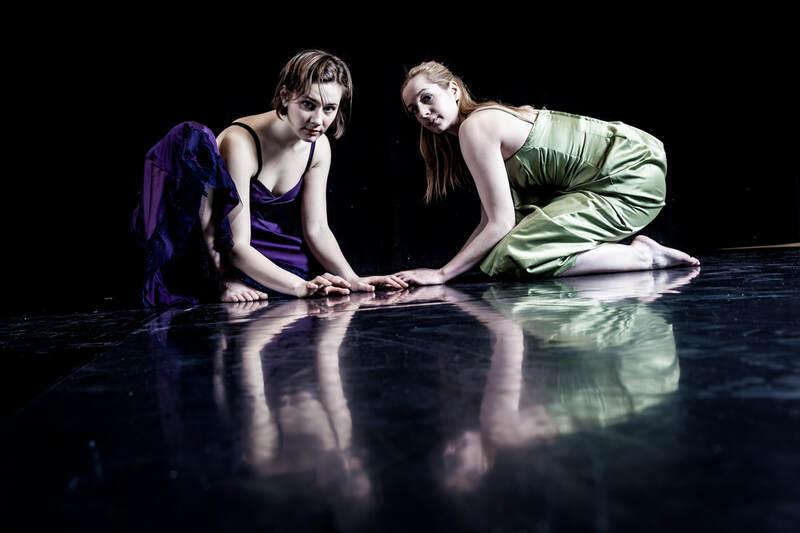 The dancers, Carleigh Macdonald and Natasha Molnar-Fluter, move within a restricted space of two–five foot circles. In four contrasting movements, the dancers explore the lived landscape of young women: their mandalas. Special thanks to Dance Saskatchewan/ Sask Lotteries for financial support. A Big Sky Dance Collective Project. Natasha has performed in Shakespeare on the Saskatchewan 2016; the Secret Garden Tour (New Dance Horizons) 2015 and 2016; the Stream of Dance Festival: New Works Regina (New Dance Horizons) 2016; The Blanket Folding Project 2016; Rael’s Journey (Shumiatcher Sandbox, Globe Theater) 2015; Sixty/Forty: Recent Works by Connie Moker Wernikowski (New Dance Horizons) 2014. She is a former member of the Youth Ballet Company of Saskatchewan, which provided the opportunity to perform throughout Saskatchewan, Edmonton, and Scotland (Aberdeen International Youth Festival). Additionally, Natasha has apprenticed with SQx Dance, an international contemporary dance company in British Colombia. Her upcoming works for the fall will be with Connie Moker Wernikowski and with Carleigh Macdonald and the Youth Ballet Company of Saskatchewan. Natasha is a mathematics major at the University of Regina. While a member of the Youth Ballet Company of Saskatchewan, Carleigh performed in Edmonton, Regina, Saskatoon, Moose Jaw, and Aberdeen, Scotland. Since graduating from the school, Carleigh has participated in projects with local artists including Connie Moker Wernikowski’s New Dance Horizons show, Sixty Forty; Johanna Bundon’s Globe Theatre Sandbox Series production of Rael’s Journey; as well as works by Caitlin Coflin, Johanna Bundon, and Bee Pallomina. She performed in Connie Moker Wernikowski’s Our Mandalas in last year’s NDH’s Stream of Dance Festival as well as part of Shakespeare on the Saskatchewan’s For the Love of Dance. Upcoming works include collaborations with Connie Moker Wernikowski, Toronto’s Karen Rose, and the Youth Ballet Company of Saskatchewan. Carleigh is currently an English major at the University of Regina, as well as an instructor of ballet and modern dance at Youth Ballet and Contemporary Dance of Saskatchewan. TIMES: 11:00 a.m. & 12:00 p.m.
Robin Poitras is the recipient of the 2016 Lieutenant Governor’s Lifetime Achievement award Poitras is one of Saskatchewan’s most prolific dance and performance creators. For many years Poitras has traversed the formal worlds of dance and performance art and has presented across Canada, in Spain, France, Germany, Mongolia and Mexico. 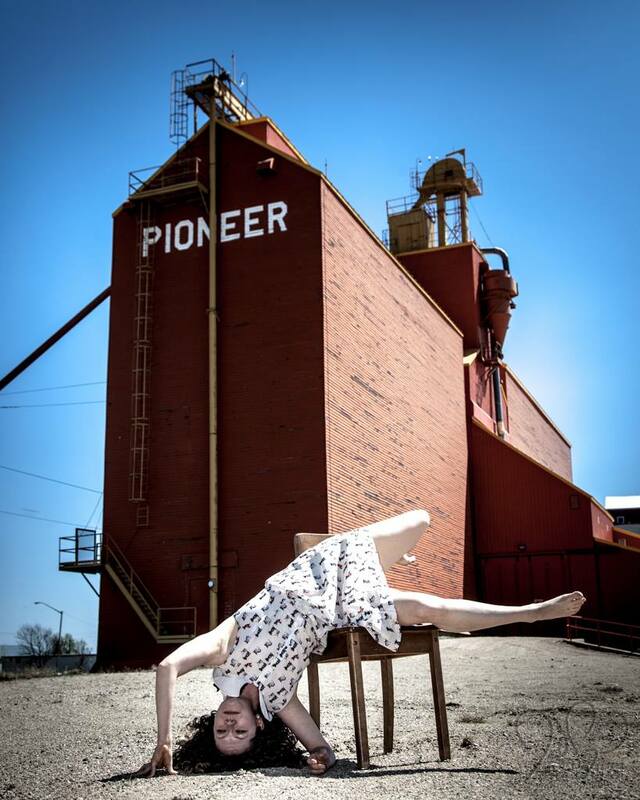 Krista Solheim is an independent dance artist and movement teacher based in Regina, SK. She completed a BFA in Contemporary Dance from Concordia University in 1998 and has taught a variety of movement classes across Canada over the past 20 years. Since her graduation, Krista has worked with a range of choreographers as performer; and as choreographer, she has worked to develop her voice as a soloist. 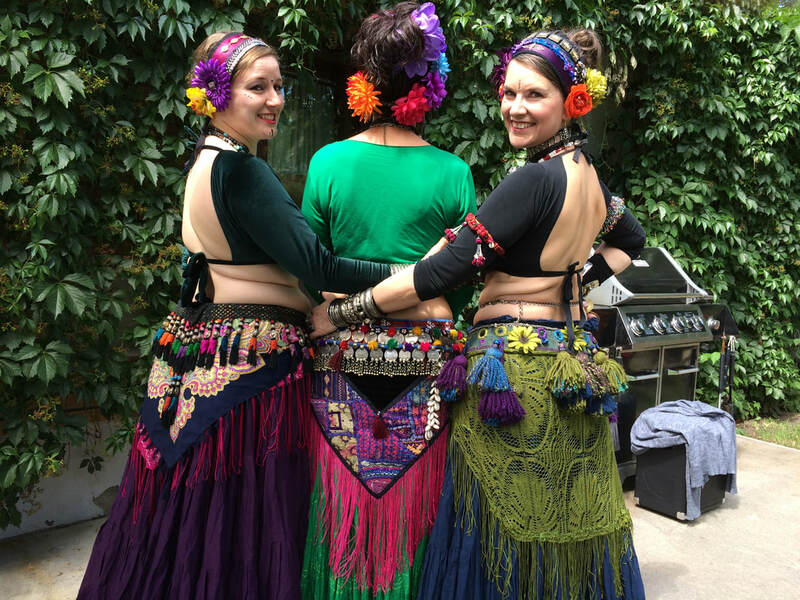 Saturday, July 15 12:00, 1:20, 2:00 & 2:40 p.m.
Sunday, July 16 1:40 & 2:40 p.m.
Tribal Style Belly Dance answers the modern day longing to be part of a tribe of women, encouraging, uplifting, supporting and celebrating life together. Each performance is alive and unique with the leader using head, hand and body cues to signal her followers. Join us in our garden celebration!! Friday, July 14 7:30 - 10:00 p.m.
​Remington is Kathryn Ricketts’ latest character embodying the odd juxtaposition of a full length fur coat and a rubber pigeon hood. 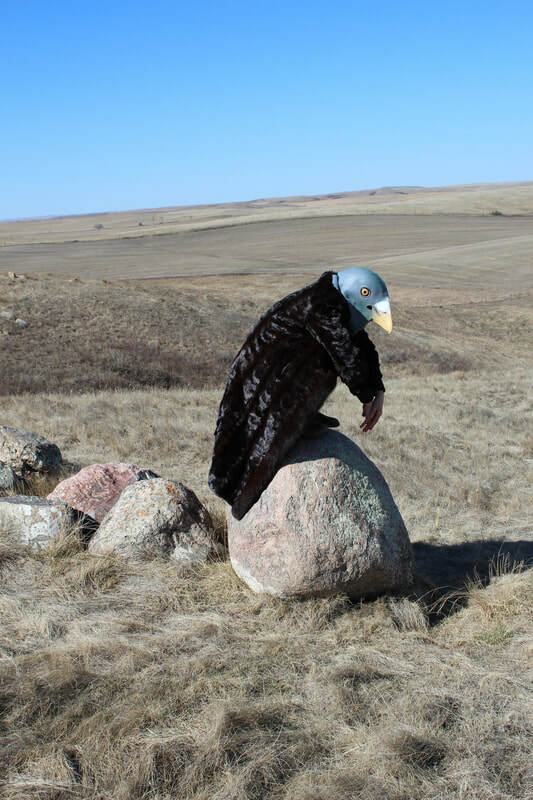 Remington is an anthropomorphized bird who inhabits an austere prairie landscape with soundscapes and video. Working with the iconography of the prairies, this work harnesses the unique, complex and profoundly beautiful features of the land and calls into question our habituated ways of occupying it. TIMES: 11:20 a.m. & 12:20 p.m. 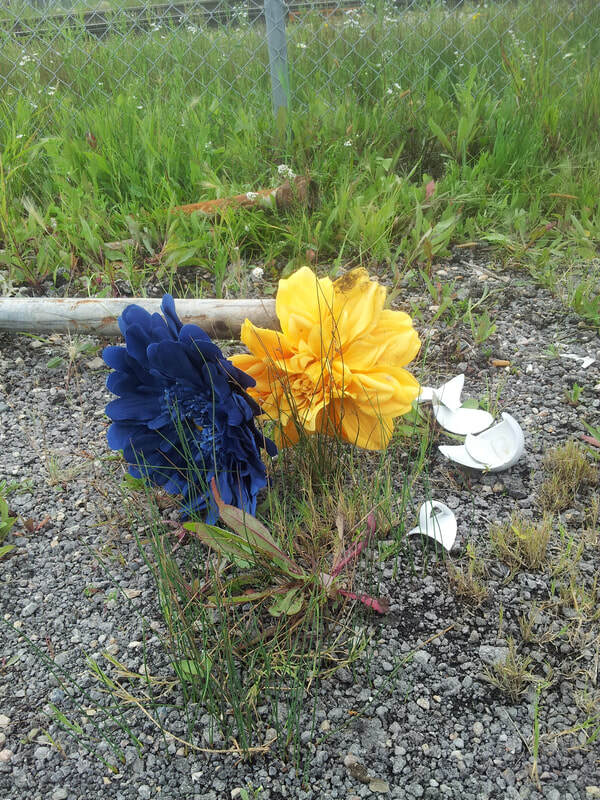 Caught between what was and what could have been… this pushes me to make a decision and take a new path. Sprit Tree Dance is the creation company of Paula Skotnitsky. Paula Skotnitsky is an emerging contemporary dance artist. 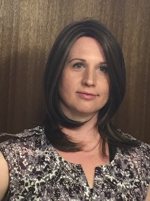 She has trained in Yorkton SK, Victoria Arts Collaborative BC, and Regina SK. Dance teacher for 19 years and Arts Ed Teacher for 3 years. Independent work presented at WIP (Saskatoon), Stream of Dance (Regina), SGT (Regina). Larissa Shasko is an emerging contemporary dance artist from Regina SK. She trained in both in modern dance and ballet and is an instructor at the Conservatory of Performing Arts. She is a dedicated environmental activist and mother of two young girls. TIMES: 2:00 & 3:00 p.m. This short work created for two dancers was inspired by the nature poetry of Emily Dickinson. Using small, gestural movements, this piece seeks introspection, highlighting a juxtaposition between private spaces and natural habitats. Jaime Williams is an artist and scholar, currently employed as an Assistant Professor in the Department of Psychology, University of Regina. She completed her Ph.D. in Clinical Psychology at the University of Regina, her MFA in Interdisciplinary Art at Simon Fraser University, and her BFA in painting at the Nova Scotia College of Art and Design. In addition to this formal training, she has greatly benefited from working with dance artists and physical training teachers in both Canada and Israel. Jaime is influenced by improvisation (painting and movement) and its effect on genuine and empathetic communication in both conscious and unconscious ways with other people and with spaces. She hopes to bring the learning that she has acquired in art, physical movement, and psychology together to expand the borders of each discipline. Ashley is interested in investigating the body in motion. In an intentional exploration, she investigates a three-pronged approach to movement as an educator, artist and somatic practitioner. She brings a sensitivity regarding alignment, healthy bodies and regulated systems that carries into all her elements of practice.She believes that the creation and production of new and original work derives from the landscape in which we inhabit. Her work as a dance artist focuses on site-specific creation in a variety of unusual settings. She believes dance happens everywhere. TIMES: 11:40 a.m. & 12:40 p.m.